Offering You the Freshest Flowers in Houston! 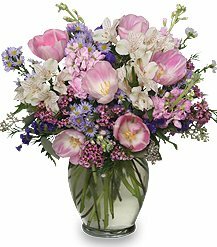 We’re a local Houston, Texas florist proudly serving the area since 1997 with a lovely variety of fresh flowers and creative gift ideas to suit any style or budget. We hope you enjoy your online shopping experience with secure 24-hour ordering right at your fingertips. If preferred, you may call us to place orders direct at (713) 960-8484 or 1-800-991-2898. Nice selection of plants and unique gifts ~ Choose from our Green & Blooming Plants, Dish Gardens, Fruit & Gourmet Baskets, Gift Baskets, Chocolates, Tropical Flowers, Plush Stuffed Animals, Balloons and more.